I am very interested in outside learning and providing opportunities for children to learn in a variety of ways and environments. Much is heard these days about forest schools, whether it be a school set up as a forest school or it be a mainstream school which has adapted their curriculum to encompass parts of the forest school ethos and activities at times during the week. It is possible to train and take qualifications in forest school leadership to support this style of learning in school. I recently came across a small article on the LOtC website about a ‘Beach’ School. The Council for Learning Outside the Classroom (CLOtC), formally assumed responsibility and leadership for learning outside the classroom from the [then] Department for Children, Schools and Families (DCSF) on the 1st April 2009. They promote learning outdoors in whatever format. The article was a case study of Ysgol Glan Gele, an infant school in Abergele, Conwy who engage in ‘Beach School’. 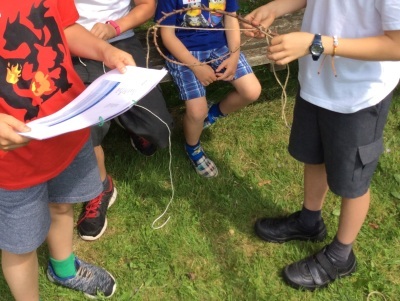 Their case study can be found at http://www.lotc.org.uk/learning-has-no-boundaries/ it is a short article that is well worth reading to find out about ways in implementing learning outside. Ysgol Glan Gele have achieved a LOtC Gold award for their approach to learning outside. This case study made me re-evaluate our outside learning provision taking a holistic view of what we have available both on site and in the local area, it has become clear that there is so much we could do to consolidate and extend learning by using the children’s basic skills in a range of outdoor activities. While keen to train teachers in Forest School provision, I am sure that we can quickly adapt our curriculum to make even better and productive use of our resources thereby engaging the children further in their learning, while going through the training process. 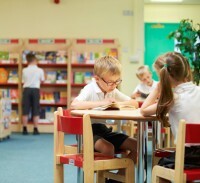 The ‘Learning Environment’, in its widest sense, is now part of our school improvement plan. I would recommend the LOtC website to all educationalist as it is full of inspiration on how to provide the best learning opportunities for our young people. If you are bitten by the bug of outdoor education and want to invest further in a Forest School qualification, the FTSA are running training programmes. Click here for more information.